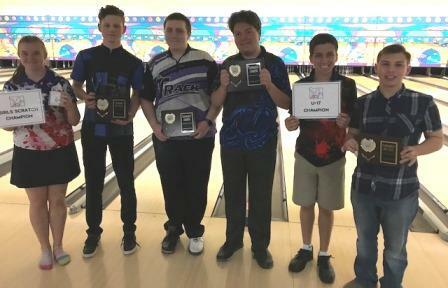 Joe Gerencser and Ryan Zent claimed landmark titles of different types, in exciting Mojave and Arizona Conference action at Kingman's Cerbat Lanes. After qualifying, bowlers competed in 'pick your poison', where higher seeded bowlers chose who they wanted to play in matchplay action. In the scratch semifinals, Gerencser eliminated Solomon Salama for the second straight day, 205-191 this time, while Hunter Mayes strung the strikes in a 246-204 win over Zach Greim to set up the finale. Mayes is a budding superstar, but the veteran Gerencser has been striking for a long time on Tour, and with a convincing 246-204 win, he became the 44th bowler in JBT history to reach the 10-title plateau- congrats Joe! Newcomer Jake Creek stopped Josh Karney's quest for back to back titles with a 227-202 win in one semifinal. In the other semi, Ryan Zent beat Michael McQuisten, who earlier fired a 284 (!) for the day's high game, 231-203, to set up the final match. Creek, making an impressive debut, more than held his own, while Zent struggled mightily in the early frames. However, in a spot where Ryan has fallen apart before, he regrouped and was brilliant the rest of the way, passing Jake and winning the game 209-195 for the title. It's the fifth of his career, but amazingly, the first since 2011- talk about perseverance! 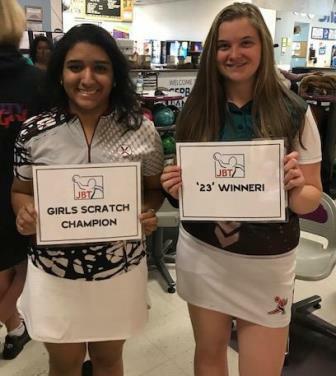 Emily Cheesman earned her first Priority Girls Scratch win with a victory over Madison Holman, while Josh Williams picked up a U17 win for the first time with a 204-192 victory over Zent. Big thanks to the team at Cerbat for another fine job hosting our Tour! If you want to be a part of all this fun, just check our schedule and come on down!